WAVES worked in a variety of jobs. 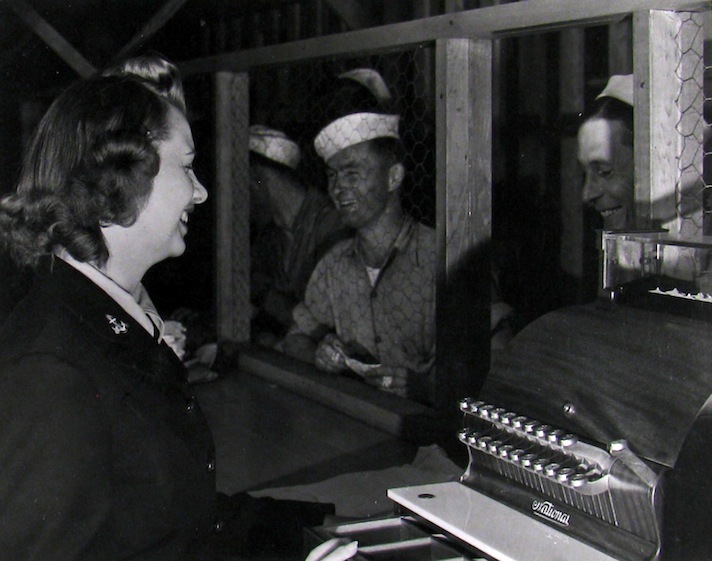 Here, a WAVE is on duty at the ship’s store, working as a cashier. The photograph from October 1943 was taken at Port Huenume, Acorn Training Detachment.